Journalist Chris Forrester is reporting at the Advanced Television infosite that indications from Florida’s Space Coast suggest SpaceX’s next commercial flight launch will be Arabsat’s latest craft to join its fleet, Arabsat-6A, which will lift off at 6.36 p.m. (Florida time) on April 7, subject to the usual weather conditions and final readiness checks. 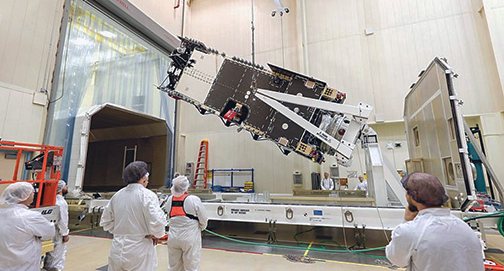 The Arabsat-6A satellites' Final manufacturing steps. 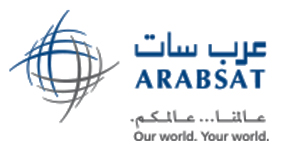 Arabsat-6A had initially been expected to launch during Q4 2018. SpaceX has yet to carry out a pre-launch static engine firing test which usually takes place a week or so ahead of a planned launch. SpaceX will use its massive Falcon Heavy rocket and the first flight of the ‘Heavy’ variant since its maiden flight more than a year ago in February 2018. The Falcon Heavy comprises three sets of ‘ordinary’ Falcon rocket clusters. Each of these contain nine engines, so the Heavy has 27 rocket engines for power. Arabsat 6A was built by Lockheed Martin, with Lockheed VP Lisa Callahan saying that the satellite was the most advanced communications satellite the company had ever built. Arabsat-6A will go to 30.5 degrees East and will serve the complete MENA region plus (potentially) the entirety of Africa, Europe, Turkey and the near East. The satellite's Western beam will also reach the Eastern seaboard of the U.S. and South America. Following Arabsat 6A will be Amos 17 for Israel’s Spacecom in late May.